1. Jump on in, the water’s (always) fine. Regardless of what’s going on weather-wise in your neck of the woods, water temperatures in the Gulf of Mexico are always totally swimmable. The Gulf’s average is 76.8 degrees, and even in December and January it never dips below the mid-to-upper 60s. Beyond temperature, The Beaches of Fort Myers & Sanibel are practically made for swimming. Because the Gulf of Mexico is bordered on two sides by peninsulas — Florida on the east and the Yucatán on the west — it’s essentially a gigantic bathtub of a bay. The scarcity of powerful waves means there’s no better place to soak, float, or sunbathe, and you never have to worry about safety for the kids. When you’re done in the water, you can relax on the pure sugar sand or get after some of the best shelling in the world. 2. The wildlife spotting at Estero Bay is world class. Five decades ago, fishermen noticed that “plenty of fish in the sea” no longer applied to Estero Bay, and what was once one of Florida’s premier fishing spots was in danger of becoming anything but. 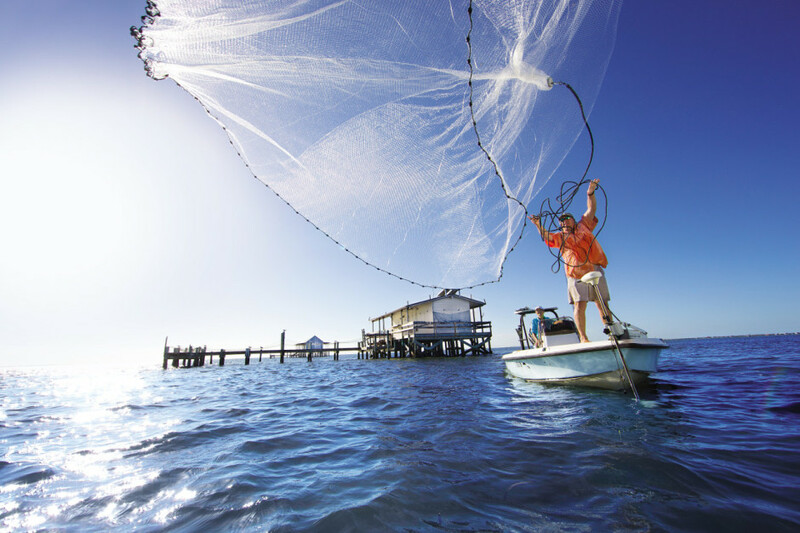 The local anglers appealed to the state and were successful — in 1966, Estero Bay became Florida’s first aquatic preserve. Nearly 50 years later, the wildlife is as abundant as it ever was. Estuaries — those salty-sweet waterways where freshwater rivers kiss the sea — are known for being mega-biologically diverse. And Estero Bay, with its half century of protection, is a prime example. A whole range of species come to breed and raise their young here, so if you want to spot a mama and baby dolphin jumping and playing together in your boat’s wake, you’re in the right place. It’s also a great spot for seeing blue herons, nesting eagles, ospreys, and manatees. 3. You need to experience the slow pace of life on a kayak or SUP board. Unless you’ve got shoulders like Thor, your speed in a kayak is going to top out at a whopping 3mph. While that may sound slow, you’ll soon realize that’s the point. When you take a tour with an operator like Gulf Coast Kayak, it’s as if the rotation of the earth slows. There’s no rush to be anywhere or do anything. Leave your watch on land and let the lapping of the waves against your boat keep time. Surrounded by Matlacha Pass National Wildlife Refuge, you’ll put in from the shores of Pine Island and paddle into a human-free (and therefore stress-free) zone. 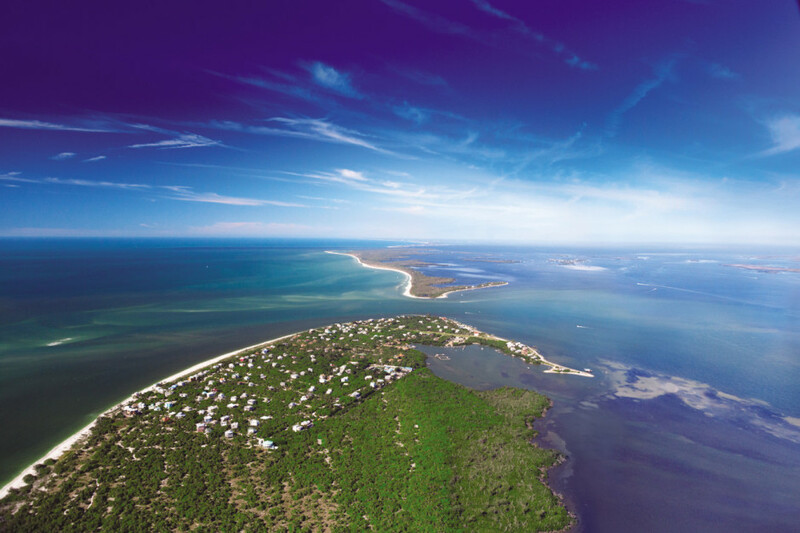 Explore uninhabited islands via the 190-mile Great Calusa Blueway; coast through the mangrove tunnels of the J.N. “Ding” Darling National Wildlife Refuge. As you slip silently through the water, you’ll see and hear more than you’d ever experience at a faster clip. 4. Everyone’s a VIP on a private island. To get truly remote, you’ll need a boat. There’s a confetti network of private islands scattered from Pine Island all the way down to the southernmost tip of the state. Some are tiny mangrove clusters that have been ruled by nature for thousands of years. Others have been conquered by man and now offer luxury dining and mansions for gawking. Useppa Island is in the latter category, and though you’d need to be in the One Percent to buy a home here, you can visit and have lunch without a notable net worth. Captiva Cruises will drop you at the highbrow Collier Inn. After lunch, head to the island’s small-but-informative museum, which chronicles Useppa’s history from Paleolithic times through its use as a CIA training spot during the Bay of Pigs. If hobnobbing with billionaires isn’t your scene, head to the next island over: funky Cabbage Key. Owned by a local family, the place is as laid back as Useppa is ritzy. And it’s rumored that Jimmy Buffett wrote “Cheeseburger in Paradise” after dining at Cabbage Key’s restaurant. Buffett’s people won’t confirm, but sitting on the restaurant’s porch, looking out at the water with a burger in one hand and a beer in the other, it’s easy to see how such a thing could happen. You can thank geology for that perfect coquina shell you just found. There’s a large sand shelf jutting out from many of Southwest Florida’s islands that helps waves expectorate shells caught up in the tumble as they crash onshore. The result is that local beaches — especially on islands like Sanibel and Captiva — are littered with perfect finds. Sanibel Island has been repeatedly voted as the #1 shelling beach in the nation by Travel + Leisure, and many smaller, uninhabited islands have equally good shelling beaches, but with less human competition for the good stuff. 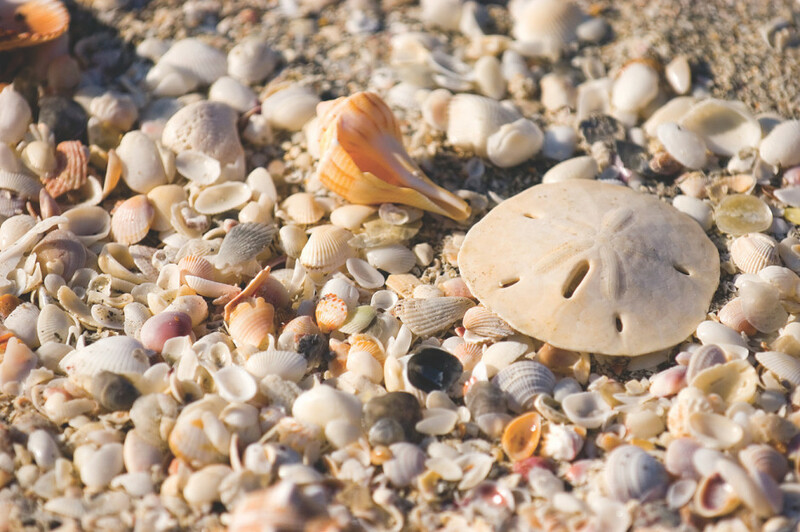 Book a shelling trip and get first pick at these deserted spots. By the end of the day you’ll have pocketed a seemingly endless array of former mollusk and gastropod real estate. 6. There are game fish galore. There are very few spots in the world where an angler can go after both saltwater and freshwater fish in the same day. Head west on a deep-sea charter if you want to catch grouper, snapper, and tarpon. 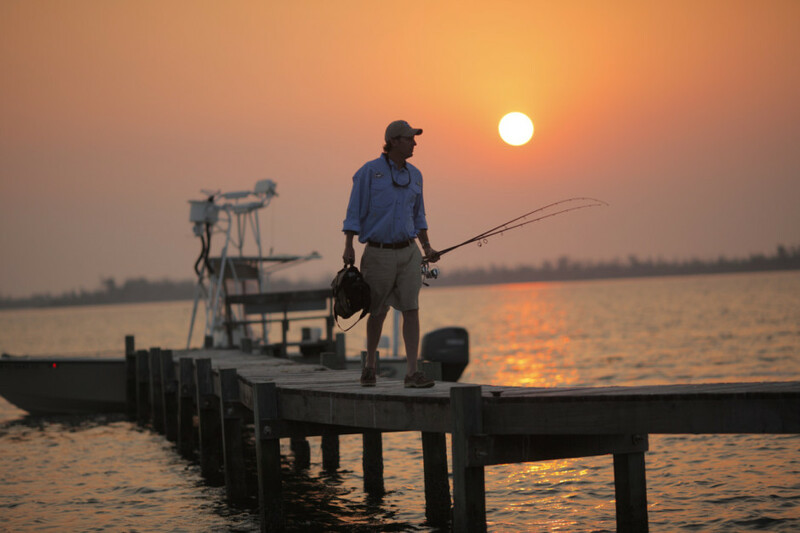 Head east — into the Everglades — if you’re after shad, bluegill, and bass. Your fishing options are practically limitless. Also of note: All of Southwest Florida is now open for spearfishing, and the invasive lionfish is a prime target. If you want to go fishing and help protect the environment, grab your gear and go nuts on these non-native creatures. Currently no fishing permit is required for lionfish, and there are no limits on how many you bag. As a bonus, they’re delicious…just watch out for the stinging barbs. 7. You have access to brand-new dive spots. In 2012, the USS Mohawk slowly sank to the bottom of the Gulf. People cheered — not because we’re a bunch of sickos who love a good maritime disaster, but because we knew the USS Mohawk would make an awesome submarine playground, and it’s just one of dozens of artificial reefs along our coastline. Lee County has actively placed reefs for several decades. Some of these are shipwrecks; others are old utility poles and concrete. All of them attract a technicolor rainbow of sea life. So while the Keys get a ton of play as a diving destination, locals know that Southwest Florida has plenty of great dive spots, with more on the way. 8. We’ve created our own adrenaline sports. Most gravity-assisted sports require, uh, gravity. And in a place like Florida, where there isn’t much in the way of elevation change, getting a rush takes a bit of creative thinking. Good news: Floridians are creative. You’ve probably heard of parasailing and kiteboarding, and Southwest Florida is a prime destination for both. But you might be less familiar with water-propelled jetpacks and flyboards. These two futuristic activities use retrofitted jet-ski motors to send people free-flying above the water. The water-propelled jetpack is the easier-to-master activity, but the water-propelled flyboard has serious cool cred. Show up ready to take a few belly flops before nabbing that perfect, totally airborne profile pic. 9. You can check out thousands of years of Gulf history. Ancient shell mounds, or middens, can be found all over the world, but Southwest Florida’s are unique. While most were created as garbage heaps left behind by seafood-eating populations, it seems that the middens in Southwest Florida were designed with purpose — built cisterns and ridges show up in the same places on different mounds. Archeologists are still examining the middens to learn more about these features, but visitors are welcome to check them out and give their theories too. One of the largest, Mound Key, is easily accessible by kayak. It’s a designated archaeological state park, and visitors can hike a trail that crisscrosses the ridges created long ago by the Calusa people. If you’re looking for more modern examples of human history in the Gulf, check out the Edison and Ford Winter Estates in Fort Myers. The adjacent sites, winter homes of Thomas Edison and Henry Ford, now house a museum and botanical garden. Also make sure to look for the historic fishing shacks in Pine Island Sound. Once upon a time, these shacks-on-stilts served as homes away from home for commercial fishermen. In the 1980s, the state tried to remove the shacks but locals intervened. Now some of the houses are even listed on the National Register of Historic Places. You can’t enter these privately owned structures, but cruise by to get a glimpse of a bygone way of life. This post is proudly produced in partnership with The Beaches of Fort Myers & Sanibel.